We are excited to announce that we have recruited three new area managers and expanded our inside sales team. It is with great enthusiasm that we welcome several talented individuals to our team. During the first quarter of 2018, we added four new employees from all over the United States. They bring varying levels of experience and unique abilities that are sure to be assets to our team. Check below to get to know our new hires. 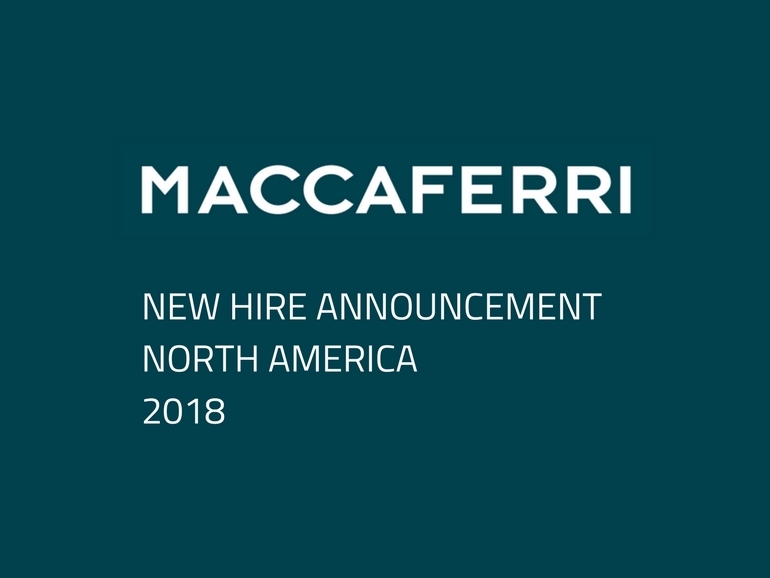 Brian began with Maccaferri on January 29, 2018. He is responsible for generating sales, distribution management, and pipeline cultivation in a newly designated Midwest Area (TN, KY, OH, IN, IL, AR). Brian comes to Maccaferri with a successful career in geosynthetics and civil design, most recently as the Principal Engineer of a geotextile manufacturer. He has served on the Executive Council of the Geosynthetics Material Association (GMA) and brings considerable experience, salesmanship, credibility, and innovative perspective to Maccaferri. Brian is a Tennessee native, attended Tennessee Tech for a Bachelor of Science in Civil Engineering and will hail from his home office in Middle Tennessee where he enjoys the sporting outdoors and giving back to his community. Dolores started with Maccaferri on February 26, 2018. She will office in our Albuquerque, New Mexico facility and will support our West, Pacific and Southern California Areas. Dolores spent much of career with the City of Rio Rancho in New Mexico in various roles, and most recently served as the Director for the Development Services Department. She prides herself on being “digitally oriented” and having a knack for technology. She received her bachelor’s in business from Eastern New Mexico University. Dolores looks forward to re-entering the workforce after spending time with her growing grandchildren. Barry began with Maccaferri on March 5, 2018. Barry is responsible for generating sales, distribution management, and pipeline cultivation in a newly designated Great Plains Area (MI, WI, IA, MN, KS, MO, NE, SD, ND, WY, MT, ID). Barry comes to Maccaferri with a background in geosynthetics distribution and manufacturer sales management. More recently, Barry has been working for companies focused on commercial building construction and architectural products. He brings significant experience, salesmanship, credibility and innovative perspective to Maccaferri. Barry received his bachelor’s in finance from Michigan State University, and currently lives in Grand Haven, MI. Barry enjoys outdoor sports and making use of his private pilot’s license. Jean began on March 12, 2018. Jean is responsible for generating sales, distribution management, and pipeline cultivation in our Southwest Area (NM, CO, and El Paso, TX) and will be based out of the Albuquerque office. Jean is a proven leader. She joins us from Lowe’s Home Improvement, ProServices Sales where she gained extensive knowledge in commercial contractor sales and management, account management and relationship building. Jean is a “military brat” who has lived in various states around the US including the D.C. suburbs of Maryland where she became a diehard Redskins fan. However, she loves New Mexico and is thrilled to have this opportunity to grow with Maccaferri. Jean has a brother currently serving in the military in the El Paso area and looks forward to catching up with him.